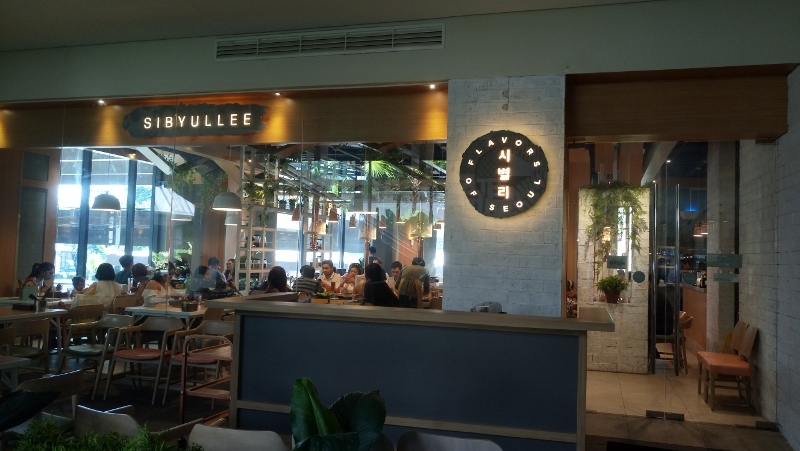 Sibyullee is the third brand of Happyfoods Group of Restaurants. 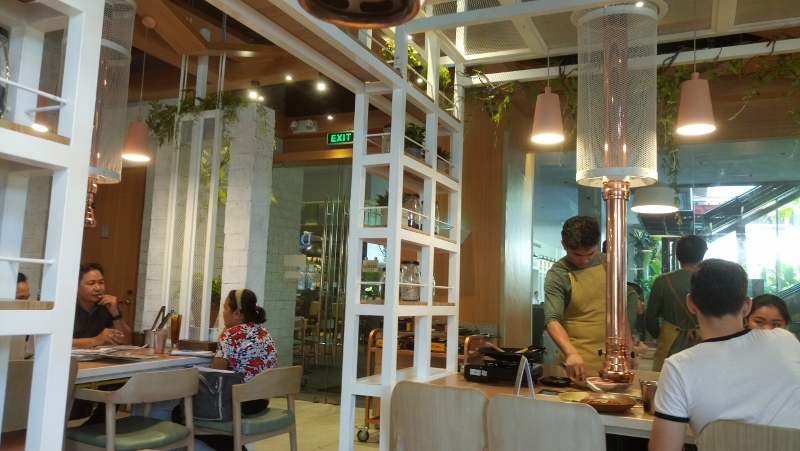 It is the same group behind Sariwon Korean Barbecue restaurant and Soban K-Town Grill in Eastwood. 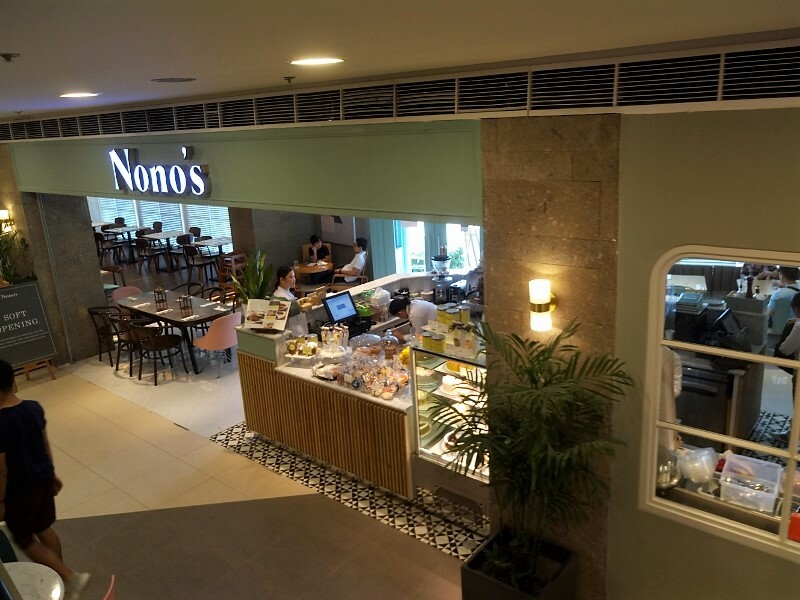 Despite that they are all Korean restaurants, it has its own unique menu and specialties. 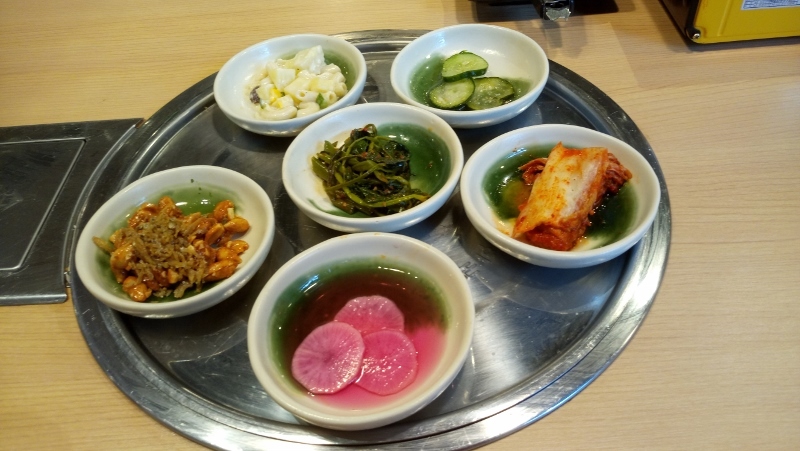 Sibyullee offers modern Seoul BBQ, inspired by the streets of Itaewon and Myeongdong in Seoul. 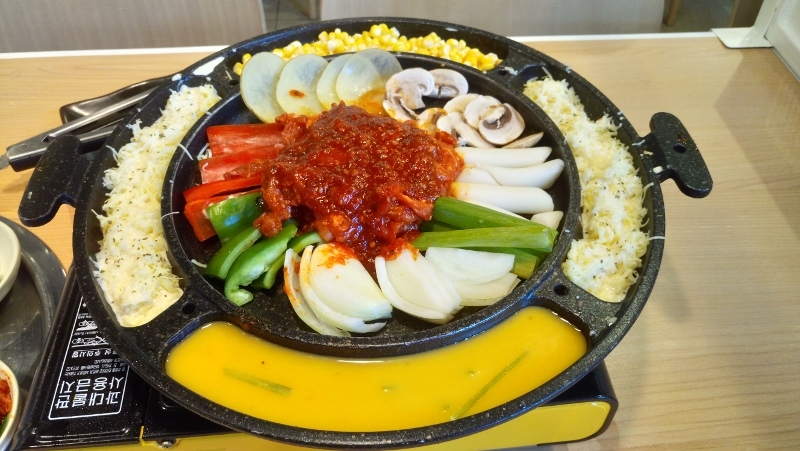 Their specialties include Volcano Kimchi Fried Rice, Korean Cheese BBQ, traditional BBQ and street food. 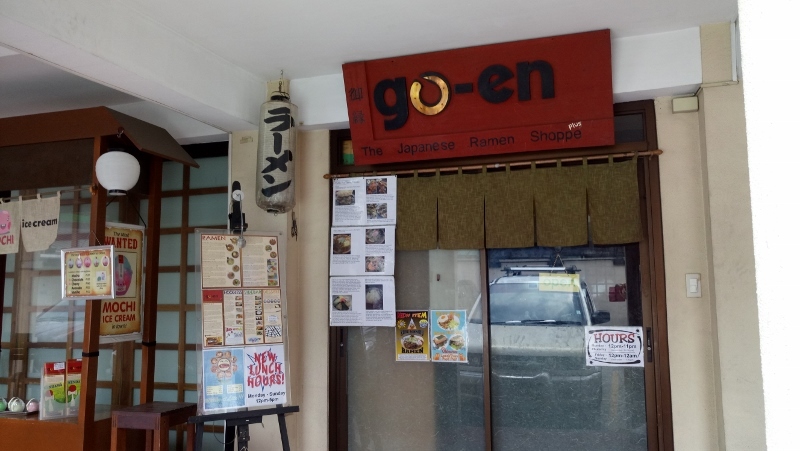 In here, they serve 6 kinds of unlimited Ban chan. Two of my favorites were kimchi and the sweetened peanuts with dried anchovy. 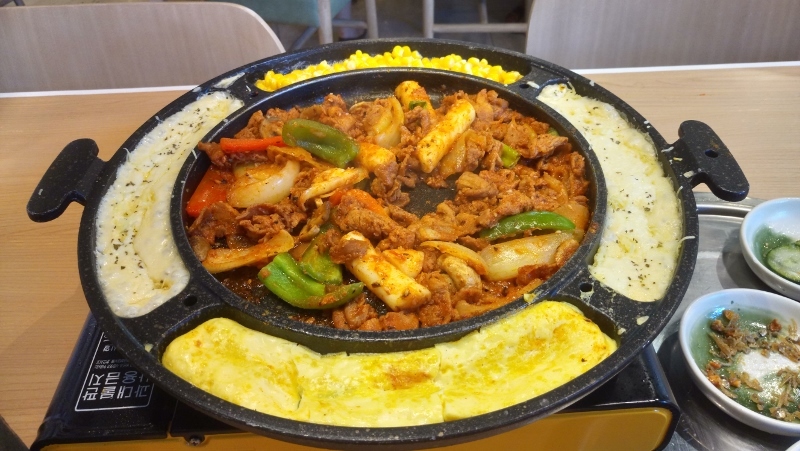 Tender marinated pork with fresh vegetables, rice cakes and thin slices of potatoes, surrounded by layers of melted cheese, buttered corn and egg omelette. Good for 2-3 persons. 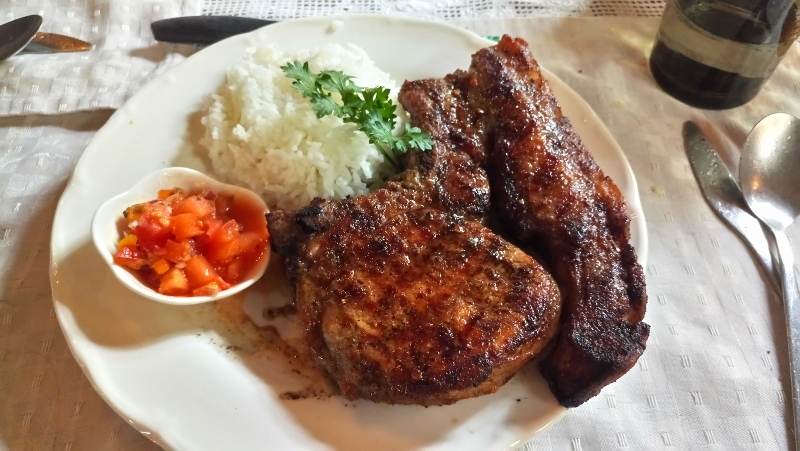 The staff cuts the pork into small pieces. It would be better if the slices wasn’t too small. Overall, it was delicious. Especially if you combine the pork and cheese. We were supposed to order the Volcano Kimchi fried rice (Php 499), but was hesitant because of the portion and the price. The rice might be too big for two persons to share and it was kinda expensive. 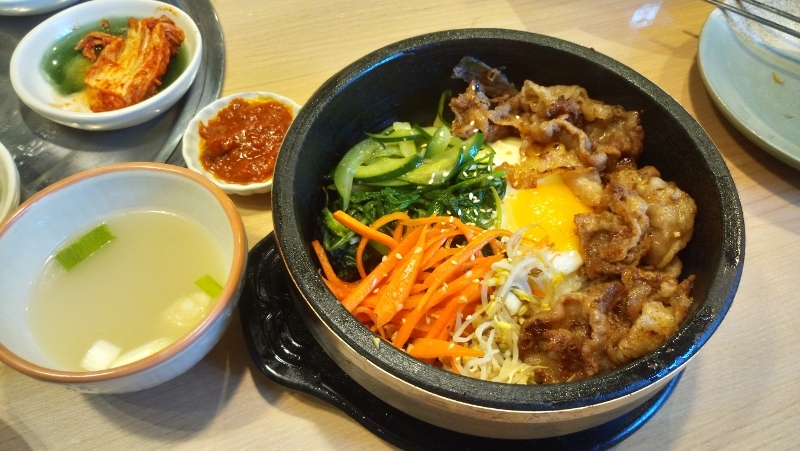 We opt for the beef bibimbap instead. 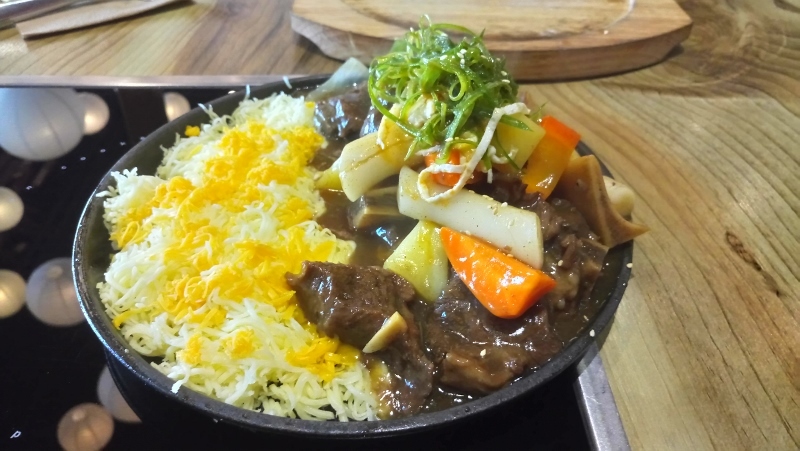 It comes with 100g of beef belly, vegetables and rice. We didn’t regret it! The beef was huge and very flavorful. 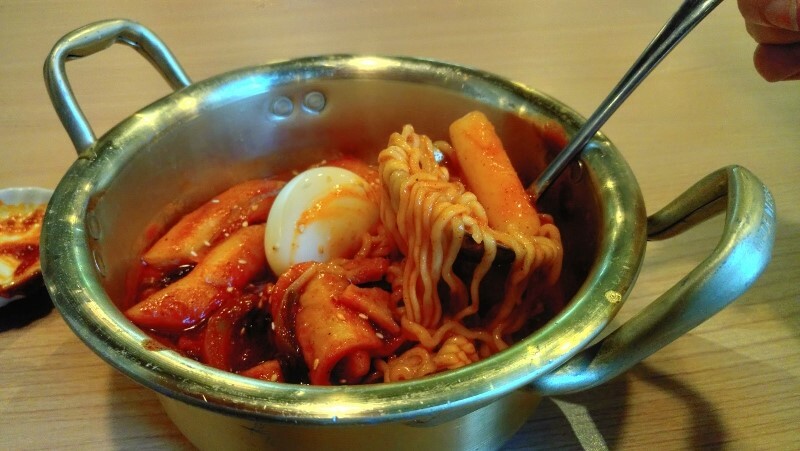 Rabokki is a combination of the two popular Korean street food: ramyeon and tteokbokki. It was a mix of sweet and spicy coated in a thick sauce. It was too spicy for me. I like spicy noodle soup better. Since it was their soft opening, they are giving away flyers with free ice cream coupons. Trying out the cheese BBQ set was an exciting experience in here. It was very unique, combining Korean grill with cheese. 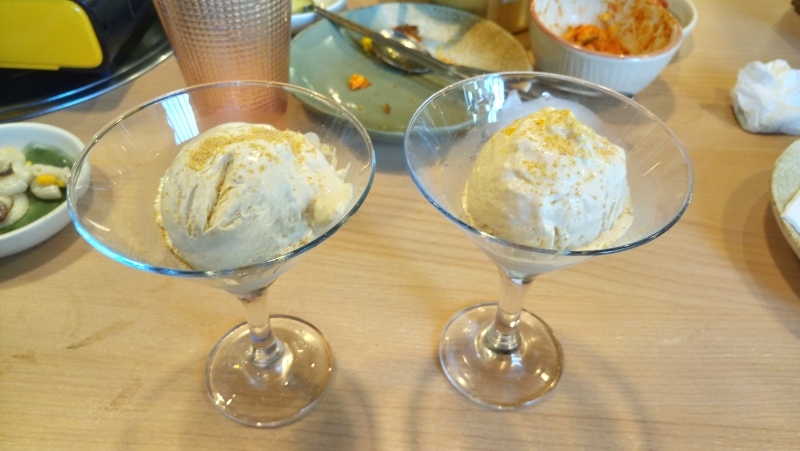 But comparing it to my Kko Kko visit, I like the mozzarella cheese better. 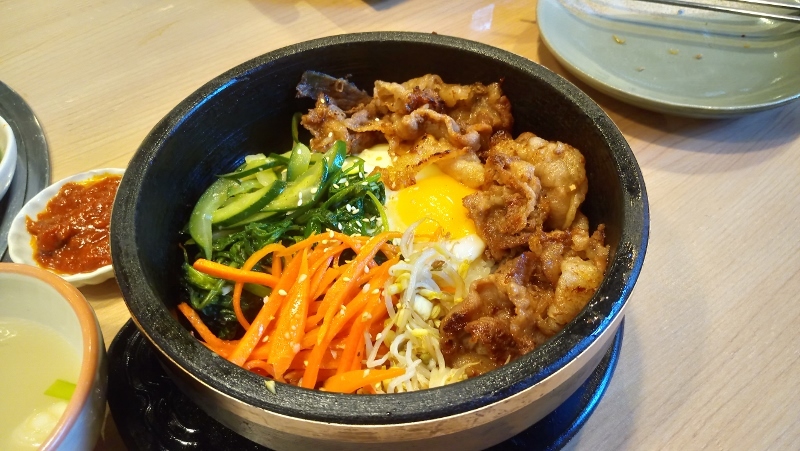 Still, I enjoyed my stay here and will definitely come back to try their beef cheese BBQ set and will order the Bibimbap again.